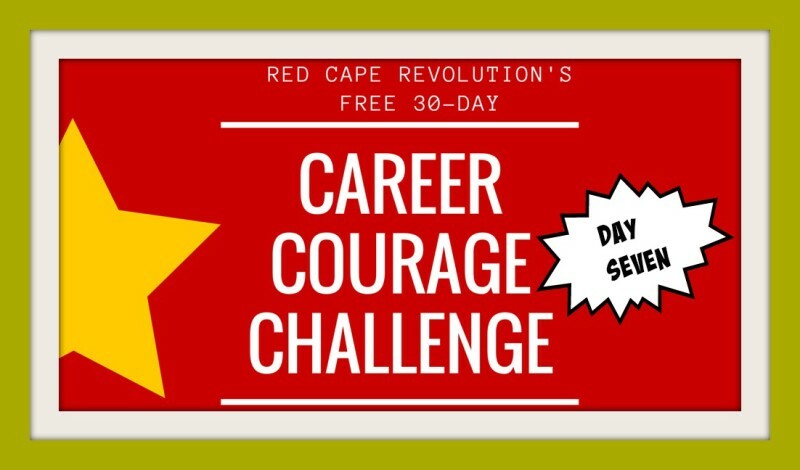 Day 7, and we’re still going strong on our 30-Day Career Courage Challenge! Each day, I’m sharing a short challenge you can take to help build your courage and your career. Plus, I’m taking the challenges along with you—watch for my notes in the Comments, below, as well as on Facebook and LinkedIn, so chime in! With all the good work you’ve done this week taking these challenges as they come, you need a break. Today, your challenge is to take a moment and just breathe. Don’t worry about all that’s undone. Don’t start cranking up for what’s ahead. Just for a moment, breathe in, and out. It takes a lot of courage to ignore all the noise, and to just appreciate the minute, the day, and yourself. Want extra points? Tuck this one in your back pocket and pull it out again later in the week when you need it. You’ll be glad you did. I needed this today! Trying to fight off a sore throat and cold, so the reminder to have the guts to slow down and breathe was very welcome! Hope you enjoy this challenge, too.